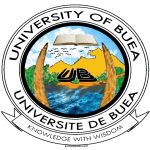 UNDERGRADUATE STUDIES University of Buea. Qualification Offered: Bachelor of Technology. B.Tech. in Electrical and Electronic Engineering. To produce graduates who are well-educated in the fundamental concepts of telecommunications and are aware of emerging telecommunications technologies. To produce graduates who are capable of continuing their professional development throughout their career by combining theory with its application. To build human resource capacity in the telecommunications discipline in both the public and private sectors. To produce graduates with good communication skills capable of functioning responsibly in diverse environments and able to work in teams. To produce graduates who are innovative and are capable of creating jobs. Ability to understand sophisticated techniques in telecommunication networks and the process of interconnecting different networks and be aware of emerging trends in telecommunications. Ability to understand telecommunication technologies and the impact of telecommunications on society. In addition to the general university requirements candidates must obtain a minimum of grade D at the Advanced level in Physics and Mathematics. Candidates with a Baccaulaureat in Electrical Technology will also be admitted. Read more: UB College of Technology Programmes. College of Technology University of Buea – COT Buea.